We cordially invite you to the concert, which will take place on July 18th as a part of the Festival of Polish Music in cooperation with Congress of the International Association of Music Libraries, Archives and Documentation Centres (IAML). The programme will include works by, among others, Ignacy Jan Paderewski, Feliks Janiewicz and Tadeusz Baird. 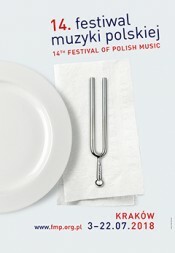 The pro­gram­me of jubilee 15th Festival of Po­lish Music has be­en an­no­un­ced! 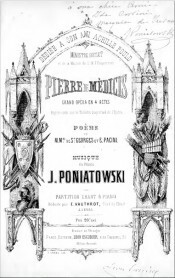 Sheet music from Poniatowski's opera are now available!